All photos and text © David Bacon, 2015. The Spaniards conquered the Zapotecs of the central valleys of Oaxaca, Mexico, almost 500 years ago, in an earth-shattering series of events. It changed everything in the lives of the conquered. 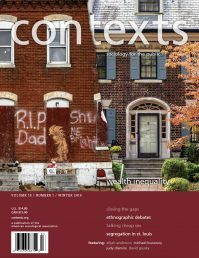 So many died that many indigenous peoples came close to disappearing; some estimates hold that the indigenous population of the Americas was reduced by 90% in the two centuries following the conquest. The population drop was so great that the Spaniards later had to bring slaves to labor in their plantations on the Costa Chica (Oaxaca’s Pacific coast). The photos here were taken in 2014. Dancers perform the “Danza de la Pluma” or Dance of the Feather (Guyach in Zapotec). The name of the city, Teotitlán, comes from Nahuatl and means “land of the gods”. Its Zapotec name is Xaguixe, which means “at the foot of the mountain”. 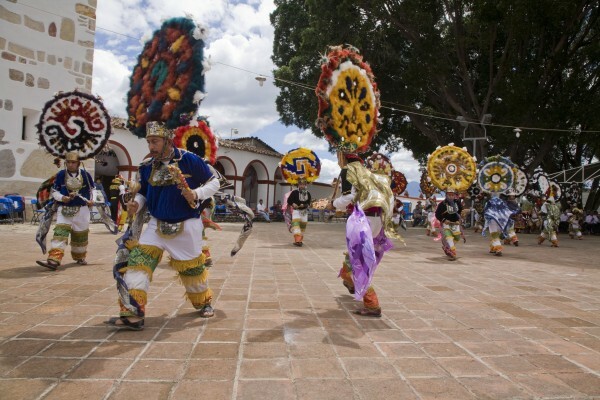 It still retains its Zapotec culture and language. 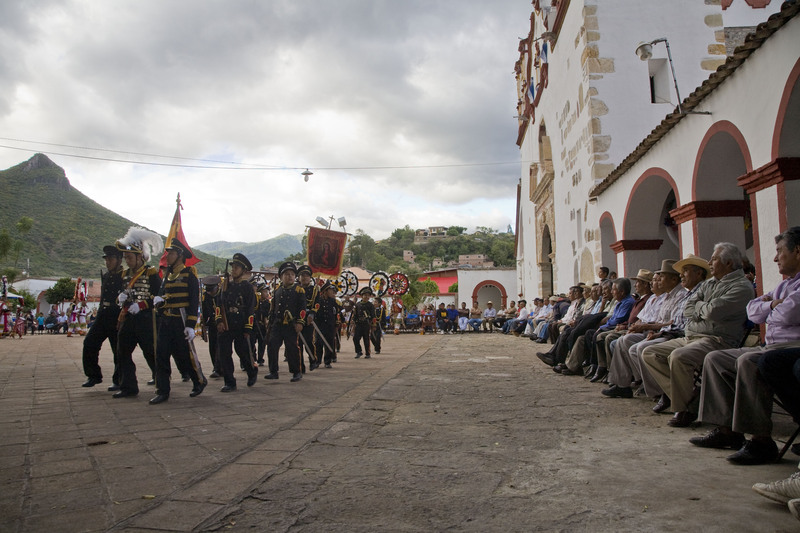 The dance is performed in the town plaza in front of the Preciosa Sangre de Cristo Church, begun in 1581 and completed in 1758. The church sits on the ruins of a Zapotec temple, which the Spanish destroyed. © David Bacon, 2015. The rattle and the baton, symbols of power. The dance recalls the basic history of the conquest. 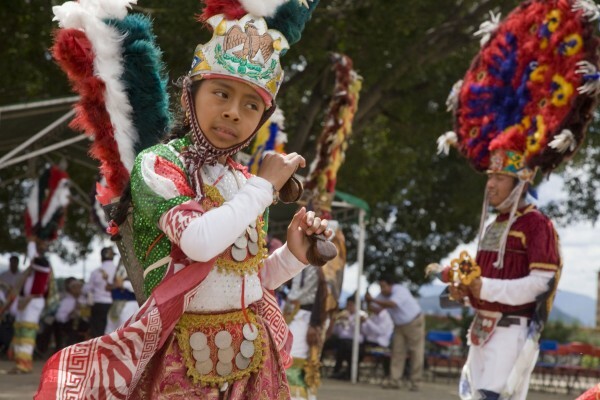 At the time of the Spaniards’ arrival, indigenous people had been living in Oaxaca’s central valleys for 11,000 years. The first site of human habitation is not far from Teotitlan, in the Guilá Naquitz cave near the town of Mitla. The discovery of corncob fragments indicates that the world’s first people to cultivate corn lived there. The dance recalls the basic history of the conquest. At the time of the Spaniards’ arrival, indigenous people had been living in Oaxaca’s central valleys for 11,000 years. The first site of human habitation is not far from Teotitlan, in the Guilá Naquitz cave near the town of Mitla. The discovery of corncob fragments indicates that the world’s first people to cultivate corn lived there. © David Bacon, 2015. Doña Marina. People speaking Zapotec in Oaxaca’s central valleys built towns with palaces, temples, ball courts. and markets, coexisting and sometimes fighting with each other until 1457. That year, the Aztec tlatoani, or ruler, Moctezuma invaded. First he conquered the towns inhabited by Mixtecs, then those of the Zapotecs. The Aztec invasion halted when Hernando Cortes arrived in the Yucatan, traveling up the coast of Tabasco in 1519. Cortes made alliances with the Aztecs’ enemies and marched on Tenochtitlan, their capital, massacring thousands of indigenous people at Cholula on the way. By then, the first Moctezuma was dead. The second Moctezuma let Cortes and his soldiers into the city. Moctezuma was then taken hostage and later murdered. The city’s inhabitants rose up, forcing Cortes to flee, but they won only temporary respite. Cortes laid siege to Tenochtitlan and finally destroyed it, burying the huge temple pyramid under what is now Mexico City’s main cathedral and central plaza, the Zocalo. Moctezuma’s successor, Cuauhtemoc, was eventually captured, and, with his death, the Aztec empire crumbled. © David Bacon, 2015. Children representing the soldiers of Cortes march in front of the community authorities. To form alliances against the Aztecs, Cortes needed a translator. First he found a priest who could speak Mayan, then a Nahuatl woman from the Gulf Coast who could translate between Mayan and Nahuatl, the language of the Aztecs and surrounding peoples. Malinalli, or Doña Marina, was one of 20 women given to the Spaniards by the residents of Tabasco. She became Cortes’ lover and advisor, and bore Cortes’ first son, Martin. © David Bacon, 2015. The dance of Malinche. Malinalli became known as the Malinche, an object of hatred and veneration ever since. She is blamed for the defeat of the feathered warriors of Tenochtitlan and the end of purely indigenous civilization in Mexico. But she was also the mother of one of the first children borne of this enormous clash. The Oaxacan Jose Vasconcellos, secretary of education in Mexico’s first post-Revolutionary government, called the mix a new race: la raza cosmica or “the cosmic race.” He and his intellectual companions held that Mexico had people of mixed indigenous, African, and European ancestry, and was therefore moving beyond the boundaries of the old world. While the union of Malinalli and Cortes gave birth to the mestizo, this did not free indigenous people, who were forced into conditions close to slavery. When Cortes died, Martin became Marquis of the Valley of Oaxaca. His lands included 23,000 people living in 11,500 square kilometers of territory. The Spaniards set up the encomienda system, huge land grants that included the indigenous population, forced into slavery to “pay” for room, board, and religious instruction. © David Bacon, 2015. The symbols of nationalism incorporated into the dance. Martin, so the legend goes, invented a dance to dramatize the conquest of indigenous people by the Spaniards. Jorge Hernandez Diaz, an anthropologist at the Benito Juarez Autonomous University of Oaxaca, writes that there are three theories of the origin of the dance. In one, Martin celebrated the birth of twins by staging a fight between dancers representing the conquering Spaniards (headed by Martin himself in the role of his father) and the defeated native people. The roles of the dancers in the Dance of the Feather today are still the same: Cortes, his captains and soldiers, Moctezuma and his allies. The personality of Malinalli was split the roles of two people: Doña Marina and the Malinche. © David Bacon, 2015. Women watching the dancers. A second version of the dance’s history points to the existence of performances carried out before the conquest, which represented battles between different groups of the feathered warriors of the kingdoms of that period. Yet a third version reported by Hernandez “has a more symbolic, ancestral and astronomical role,” which is also traced to the pre-conquest epoch. In this, Moctezuma represents the sun, while other dancers perform the role of planets. 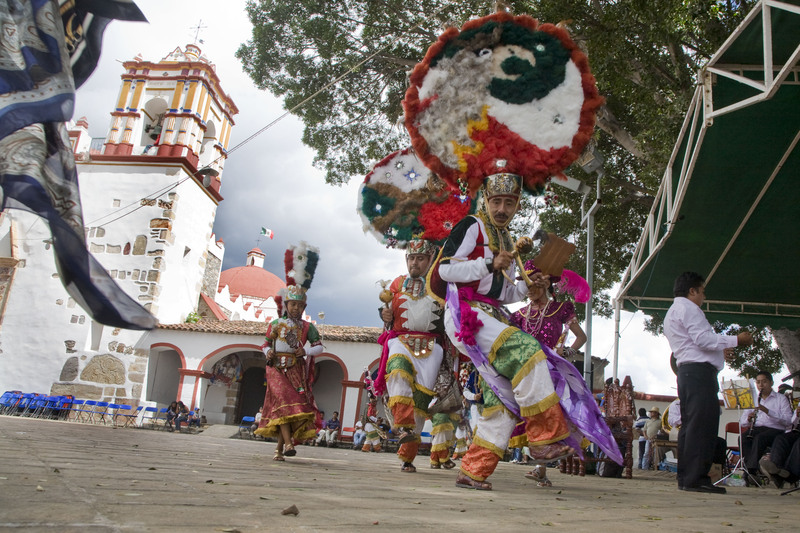 “Independently of the historical origin of the dance,” Hernandez explains, “its essence is renewed, adapted and given new meaning with the symbolism it has for the social group that takes ownership of it throughout its history, giving it new life.” The dance is an important part of the celebration of the town’s fiesta. 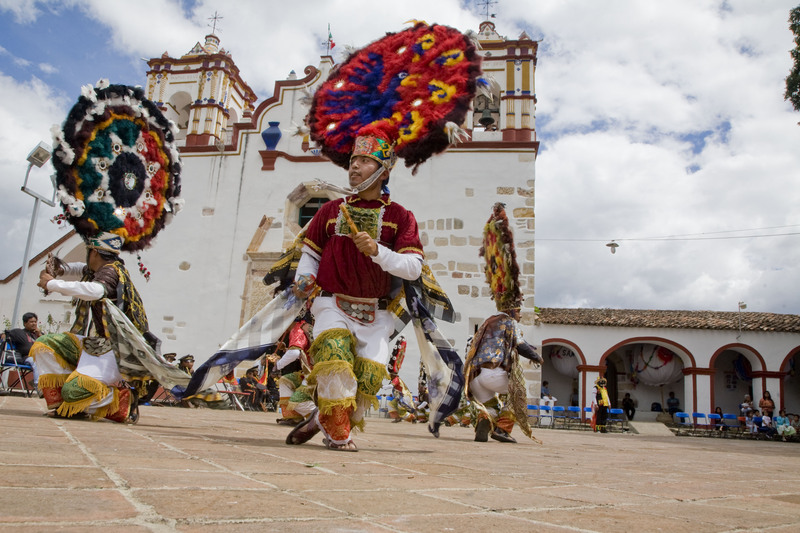 “It is a tradition,” he continues, “that can’t be overlooked, given that it’s part of its cultural, ceremonial and spiritual identity.” Eighty-six percent of the town’s residents aspire to become actors in this dance. © David Bacon, 2015. Dancers in the courtyard in front of the church. Martin’s intention was to use the dance justify his rule and to emphasize to indigenous people the uselessness of resistance. But after over 450 years, the dance no longer means what it once did. If anything, it represents a spirit of resistance to those forces that would deny Zapotecs their language, dance, music, and other cultural traditions. The Dance of the Feather is one element of a broader indigenous culture maintained through hundreds of years of colonization, followed by decades of official national policies denying their culture’s autonomy and value. 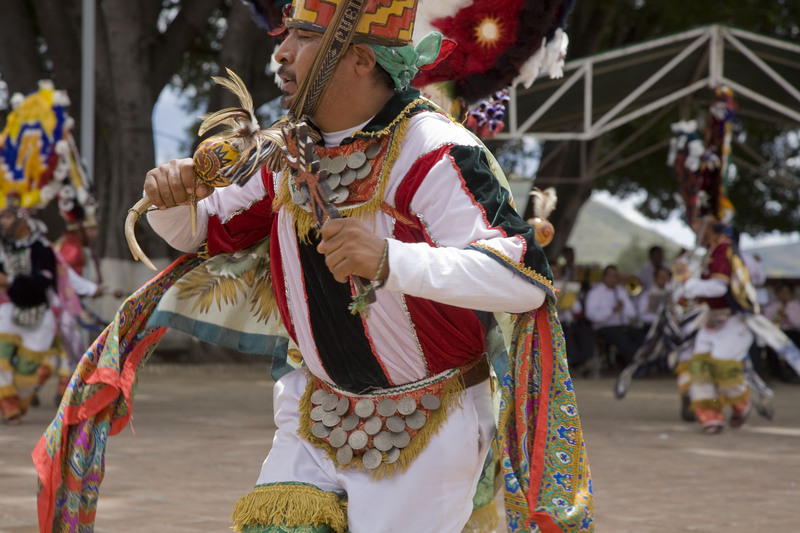 Hernandez says, “The Dance of the Feather keeps its importance in communities that hold to the tradition, like Teotitlan del Valle, because it fulfills the function of reaffirming their cultural identity by recalling a glorious past, that is, of what the community was before the arrival of the Spanish, and what it continues to be in spite of them. 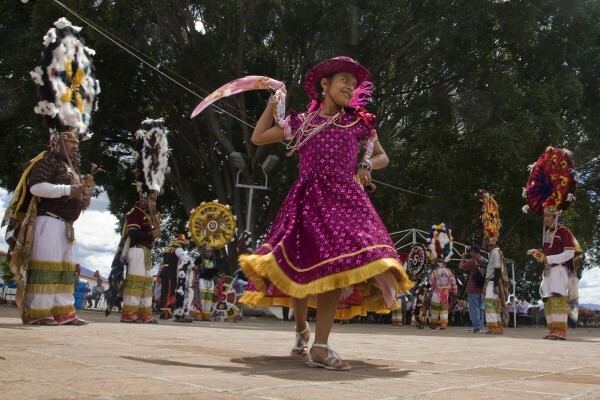 The Dance prevents forgetting, because it recalls the struggle that native Zapotecs maintained with the Spanish to defend their territory, and from whom they inherited, according to the perception of the townspeople, only negative things.” © David Bacon, 2015. Teotiles dancing. 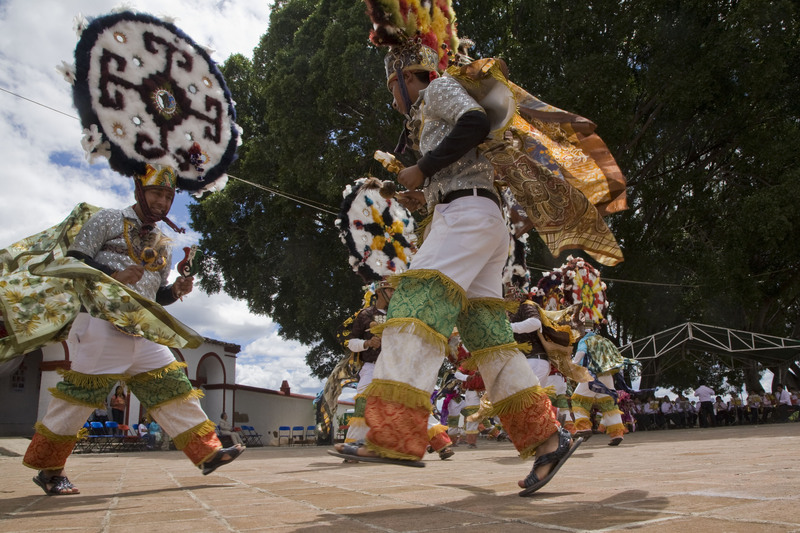 In Teotitlan del Valle, the dance also highlights another contradiction. Fifty years ago, the town was very poor and much of the traditional weaving craft that had created part of its historical identity was no longer practiced. 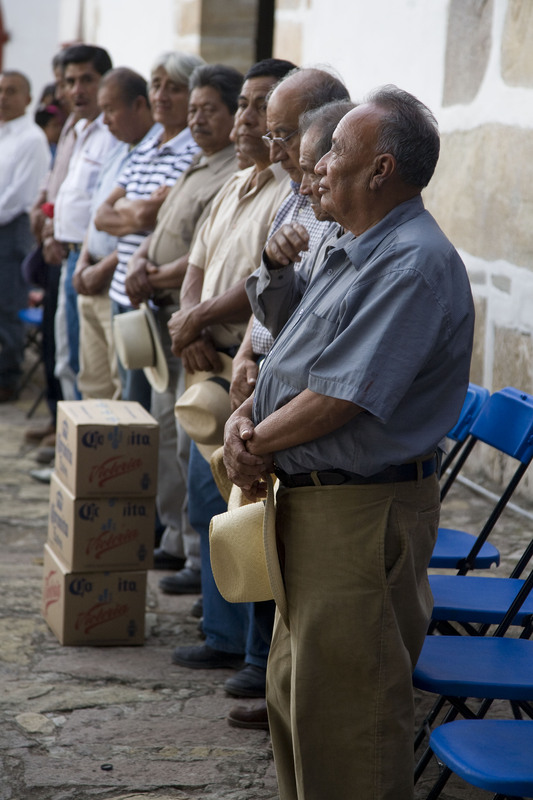 That poverty, reinforced by economic reforms and trade agreements that undermined Oaxaca’s agricultural economy, forced many of the town’s residents to leave. They became migrants, first within Mexico and then across the border into the United States. As remittances began arriving to support the families left behind, expatriates also provided money to buy materials for weaving. With the influx of tourists anxious to buy rugs in traditional Zapotec designs, weaving workshops were reestablished. 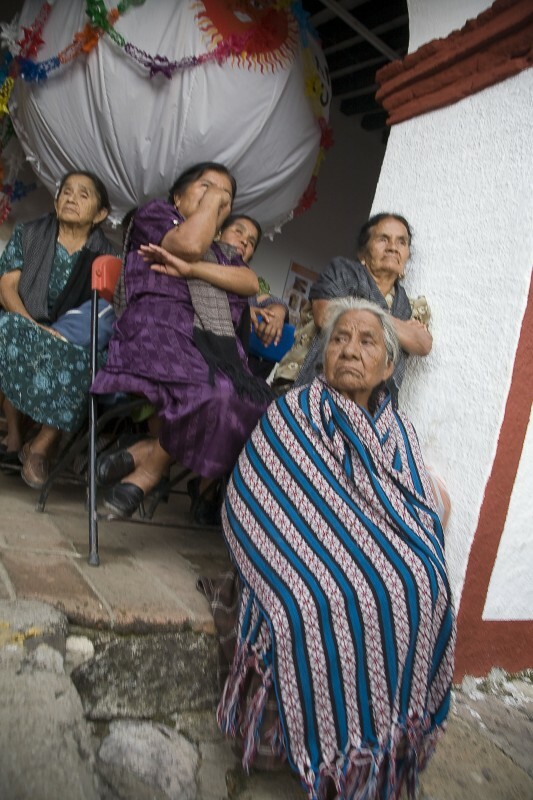 Teotitlan has a complicated relationship with migration. The remittances helped to revitalize the town. The workshops now weave not just for tourists, but also for museums in the U.S. But how easy is it to keep a culture in an economy that still depends heavily on the willingness of people to leave home to seek work elsewhere? “This dance is also a strategy for defense against what they felt were negative influences of the modern world, against the consequences of migration, against the loss of moral values and customs,” Hernandez emphasizes. © David Bacon, 2015. The Dance of the Feather in Teotitlan has had its ups and downs, according to Hernandez. “There have been long periods in which it wasn’t performed, until someone takes the initiative to revive it. In different historical periods various situations have caused a break in the tradition. Modern social forces have played a paradoxical role, sometimes leading to changes in the dance. But at the same time, they’ve allowed it to survive, to be reproduced and to continue to exist.” © David Bacon, 2015. David Bacon is a photojournalist and oral historian. He is the author of many books, including Illegal People: How Globalization Creates Migration and Criminalizes Immigrants. All photos and text © David Bacon, 2015. For many people of the world, where they have community, community can remain more important than money. That is to say, people use the money the gain from distant sources to revive and reinvent community. The ideal of the anonymity of the market is worth nothing to people whose identity is tied to their community.